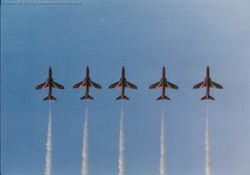 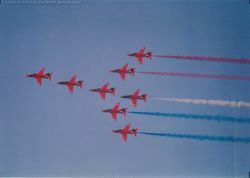 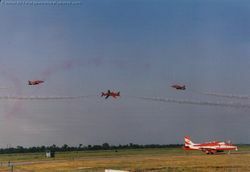 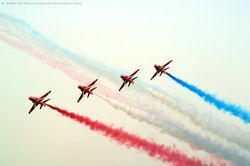 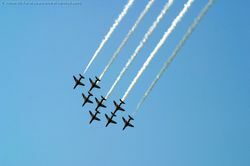 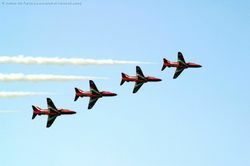 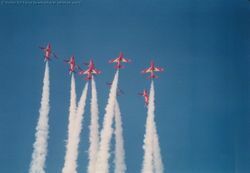 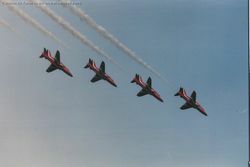 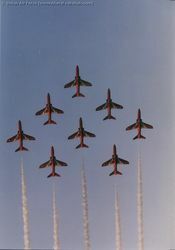 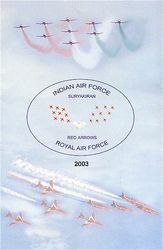 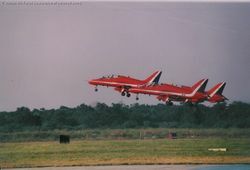 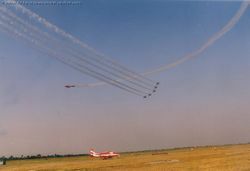 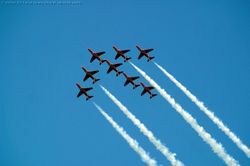 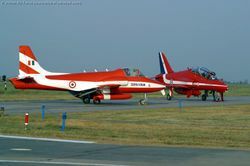 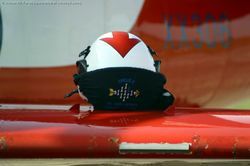 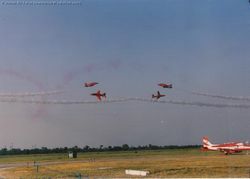 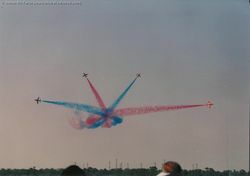 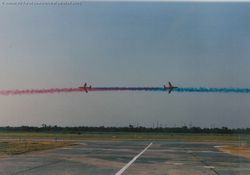 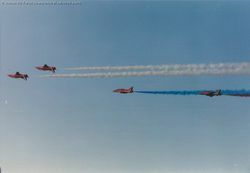 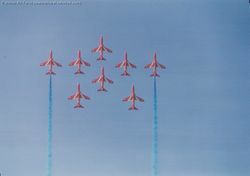 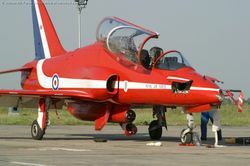 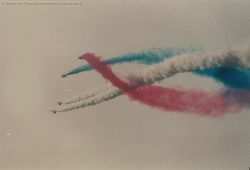 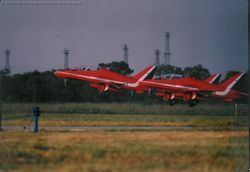 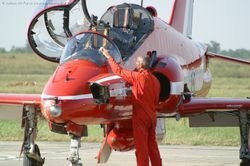 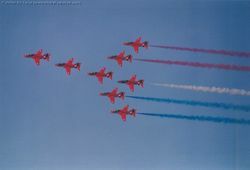 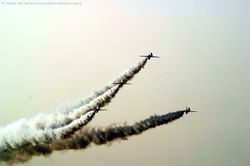 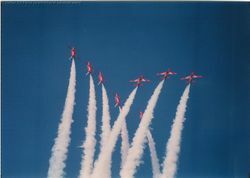 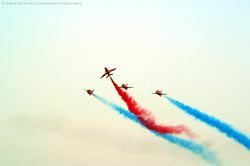 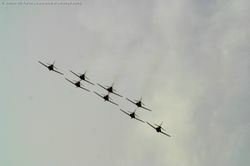 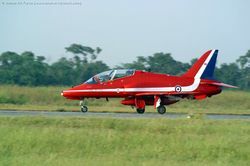 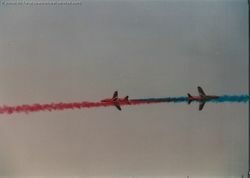 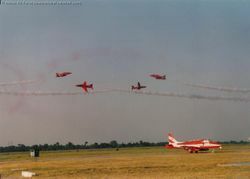 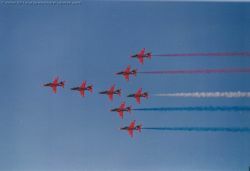 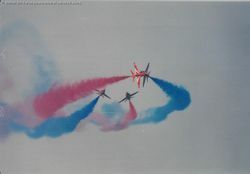 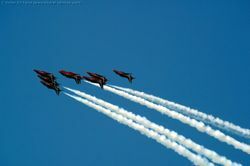 An occasion to remember in 2003 was the combined display of aerobatics by the RAFs Aerobatic Display team The Red Arrows and the IAFs Suryakirans Display team. 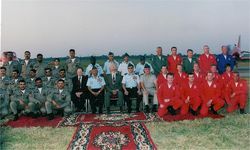 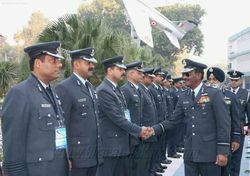 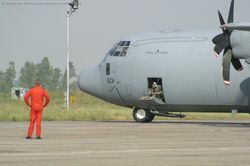 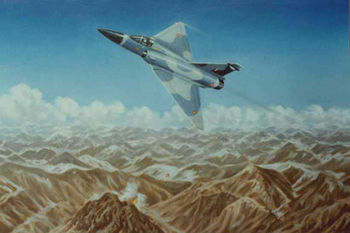 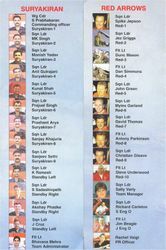 The event happened on 13th October 2003 at Hindon Air Force Station near Delhi. 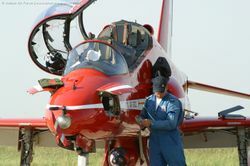 Aditya Gupta of New Delhi, provides this very detailed Airshow Report (99KB PDF file - Adobe Acrobat Reader required) as well as the brochures on display in this page.